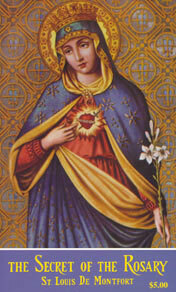 The month of May is a special time for us Catholics to pay homage to our Blessed Mother Mary. 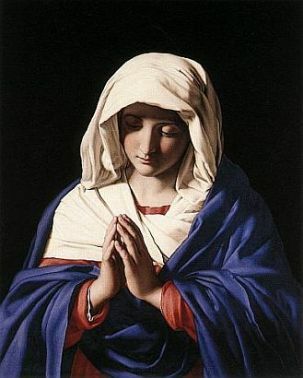 We have some good Marian Prayers for different occasions and intentions listed here. Note that I say we pay homage to her. Contrary to a distressing misconception found among Evangelicals and Protestants, we honor Mary. We do not worship her. She has a unique role in salvation history as the Mother of God, conceived without Sin, who by her own free will agreed to bring the “Word made flesh", (John 1:14) our Lord and Savior Jesus Christ into the world. Mary is prefigured as the one who would crush the head of the serpent (a figure of Satan) in Genesis 3:15 through her Divine Son. Still she in no way overshadows Him, nor would she ever wish to! Her life in the Gospel years was one of service and great devotion to Jesus, from the cave in Bethlehem where she gave birth to Him, to Calvary in Jerusalem where she stood by His cross in His Crucifixion, from Crib to Cross, as it were. While she has a somewhat low profile in the Gospels, her words there still resonate with us today and challenge us to follow her example of humility, obedience, and service to God. We read when she gives her famous assent to becoming Jesus’ mother: “Behold the handmaid of the Lord; be it done to me according to thy word” (Lk 1:38). A short time later she proclaims with joy in the Magnificat when visiting Elizabeth, her relative, that “My soul magnifies the Lord, and my spirit rejoices in God my Savior” (Lk.1:46-47). And, last but not least, what are her final words in scripture? 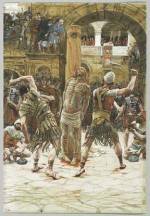 “Do whatever he [Jesus] tells you” (John 2:5). (This is her request to the waiters at the Wedding Feast at Cana right before Jesus turns water into wine with just a thought). 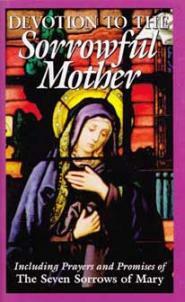 The paucity of references to Mary in the Gospels has made many Evangelicals and other Protestants, as well known author Mark Shea once speculated, think of Catholic devotion to her as something somehow pagan, as if we were somehow deifying an ordinary woman, turning her into some kind of interloper hindering our worship of Christ. Yet in creating her to be the only human being without the stain of Original Sin (outside of Jesus, of course, who had both a Human and a Divine nature), God nonetheless chose Mary specifically to play a vital role in our salvation. Mary’s Immaculate Conception enabled her to bear her Divine Son in a womb free from any taint of sin and enabled her to devote her life to Jesus in the most loving and devoted manner possible. 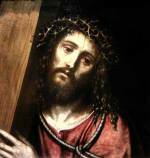 Speaking of sorrows, Jesus, as He was dying on the Cross, gave us His mother to be our Mother as well when he entrusted her to St. John's care (Jn 19:26-27) Numerous theologians and Saints have confirmed this. Mary was conceived and lived a life "full of Grace" (Lk. 1:28). And she wishes very much to share the graces given her by God on our behalf. St. Bernardine of Siena once said : "Every grace that is communicated to this world has a threefold course. 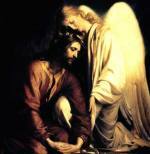 For by excellent order, it is dispensed from God to Christ, from Christ to the Virgin [Mary], from the Virgin to us." Many non-Catholic Christians may take issue with this notion, referring to the famous quote from St. Paul in his letter to Timothy that "there is one mediator between God and men, himself man, Christ Jesus" (1 Tim 2:5). Yet it is important to note that "one" here means "first" not "only". Have you ever asked someone to pray for you? That's the kind of mediation we're talking about here. And Mary, as the beloved Mother of God, makes a powerful intercessor for us indeed! Note also that Mary's many church-approved apparitions on behalf of her Son (such as Our Lady of Guadalupe and Our Lady of Lourdes) serve to further reinforce our faith that Jesus is indeed the Son of God and the Second Person of the Trinity functioning on a dazzling supernatural plane. His Earthly ministry wasn't just that of some philosopher or some wise teacher! In these and other such apparitions she has urged all of us “Banished children of Eve” to adopt greater piety and devotion to God and neighbor. (But do we listen? That’s the question!) She has also given us a great weapon in our Spiritual arsenal in the Rosary. St. Francis de Sales called it "the greatest method of praying". Blessed Alan de la Roche said this prayer is "the storehouse of countless blessing." And St. Padre Pio once remarked that "the Rosary is the weapon given us by Mary to use against the tricks of the infernal enemy." It not only brings us graces, but also is a great way to meditate on the lives of Our Lord and His Blessed Mother! Mary herself once told Blessed Alan that "when you say your Rosary, the angels rejoice, the Blessed Trinity delights in it, my Son finds joy in it too, and I myself am happier than you can possibly guess. 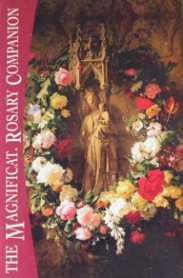 After the Holy Sacrifice of the Mass, there is nothing in the Church that I love as much as the Rosary." Remember that Mary always seeks to be a bridge not a barrier to Her Divine Son our Lord and Savior Jesus Christ! Don't ever feel afraid to approach her in prayer for grace, strength and her intercession to Jesus for your personal intentions! Interested in learning more? I'd like to recommend these books listed below. (These are in addition to the selections from our Web Store listed either at right on Desktops or Tablets, or below, in the case of Mobile pages, those on a Smartphone). These titles are all available on www.amazon.com, some in electronic editions that can be read on their Kindle Reader. You can also read them on a PC, Tablet, or Smartphone using Amazon's Free Kindle App (available on both iTunes and the Google Play Store or directly from Amazon.) 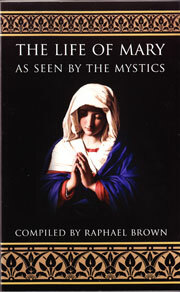 Some electronic editions of these from Catholic Way Publishing cost as little as 99 cents! 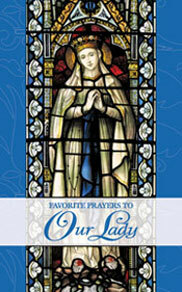 Five Great Prayer Resources Available in our Web Store!